PORTLAND: The American Civil Liberties Union and Planned Parenthood filed a federal lawsuit Wednesday that challenges a Maine restriction common across most of the U.S. that abortions be performed solely by physicians. The two groups were joined by four nurses and abortion provider Maine Family Planning in challenging the law that prevents advanced practice registered nurses, such as nurse practitioners and nurse midwives, from performing the procedure. Julie Jenkins, a Belfast nurse practitioner and a plaintiff, said the state’s rule is “medically unjustified” and especially punitive in Maine’s rural areas, where access to doctors who provide abortions can be scarce. The lawsuit names Maine Attorney General Janet Mills and several district attorneys as defendants. A spokesman for Mills says the office has not been served with the lawsuit and has no comments on the merits of the case. The two other northern New England states – Vermont and New Hampshire – do not require that only physicians perform abortions, but the large majority of the states – three-fourths – do. 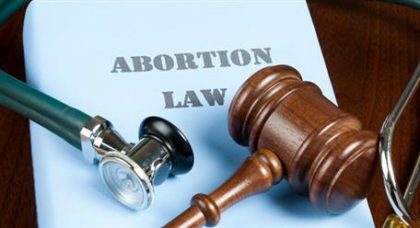 The Maine law restricting abortions to licensed physicians dates back to the 1970s, ACLU of Maine attorney Zachary Heiden said. The study also concluded that difficulties finding an abortion facility can cause delays, increasing the risk of complications during abortions performed at later stages of pregnancy. The study supported the adoption of policies that allow providers other than doctors to provide abortions. Kate Brogan, vice president for Maine Family Planning, said the issue is fair access to medical services for women.